2007 Mandarins to present: ""Dragon Dance""
From a Mandarins press release: In the mythology of Asian countries, the dragon (or "Lóng" in Mandarin Chinese) is the supreme spiritual power, the most ancient emblem in Asian mythology, and the most ubiquitous motif in Asian art. Dragons represent power, wisdom and strength. Dragons in China are first known as a river spirit and are linked to the ancient Chinese pearl of wisdom. Whereas in western cultures dragons are usually regarded as a symbol of malevolence, in China the dragon is held in high esteem for its dignity and power for good. Dragons are known for their intelligence and fortitude, along with possessing the quality of longevity. Today, we associate the Dragon Dance as the highlight of the Chinese New Year celebration. 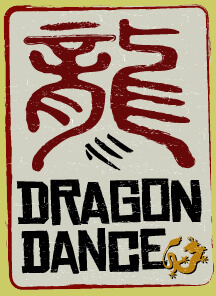 The movement of the dance is sinuous, twisting like a snake, which is meant to honor the Dragon's origins as a river spirit. Visit www.mandarins.org to view a complete repertoire list for this program and a list of 2007 staff members.